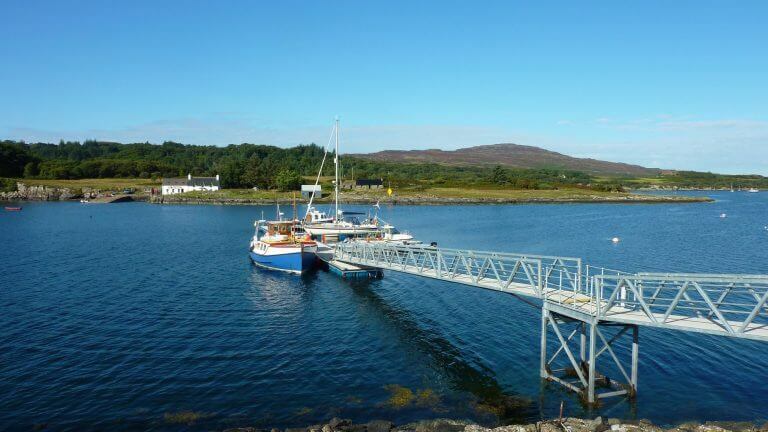 The Ulva Ferry Pontoon was installed in summer 2016, delivered jointly by Mull and Iona Community Trust and Ulva School Community Association to provide increased tourism and economic opportunities for the area. 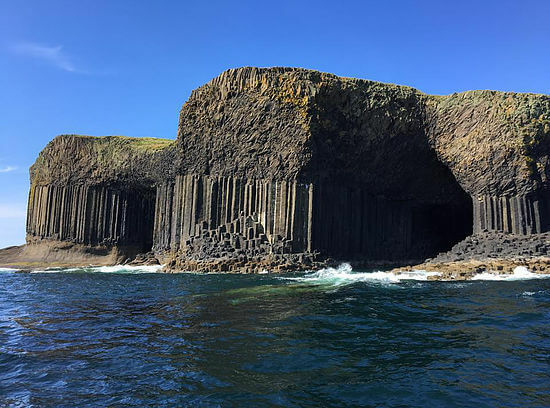 Local tour operator depart daily from the Pontoon during the summer season, visiting Staffa, the Treshnish Isles and further afield. Visitors afloat can make use of our community transport to visit local attractions or pick up supplies at nearby villages of Salen or Dervaig. Opened in 2014, Ballygown is a family run restaurant serving comforting, home cooked food using local produce. Proprietor Jeanette offers a friendly welcome and an inventive menu that changes daily, so you are always in for a treat. Ballygown is also home to Isle of Mull Haggis, the only homemade haggis produced in Argyll. Ballygown is open Tuesday – Sunday from 5.30pm from April – October. Open for lunches, and for dinners in the winter months by request. Unlicensed, BYOB – booking essential. 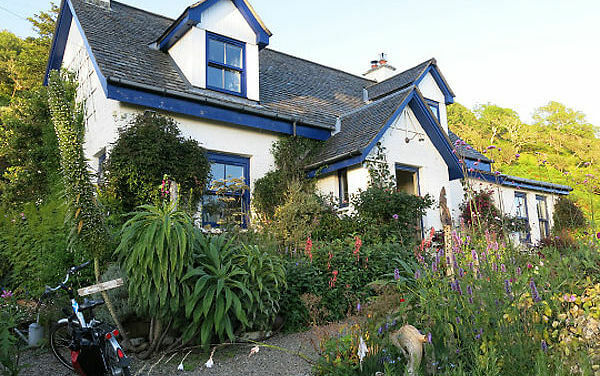 Just a short ferry ride from Ulva Ferry takes you to the beautiful Isle of Ulva, the birthplace of Sir Lachlan Macquarie, Father of Australia, and famous visitors include Johnson & Boswell, Sir Walter Scott and Beatrix Potter. Ulva is well worth a day’s visit to walk and explore. Ulva is open April – October: Monday – Friday 9.00am – 5.00pm, and Sundays June – August. Access is via a request ferry service: summon the ferry by uncovering the red panel on the sign next to the pier. 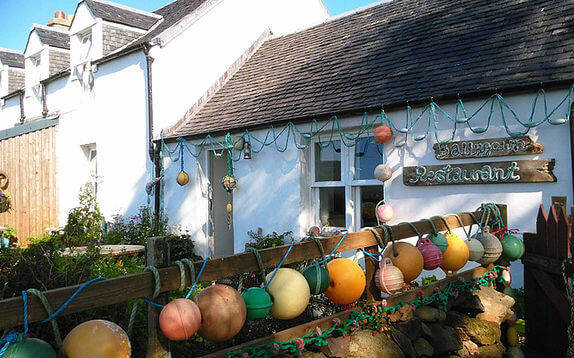 A trip to Ulva is not complete without a visit to the Boathouse Restaurant, famous for it’s fresher than fresh shellfish, landed from their own family fishing boat, and fabulous home baked bread and cakes. 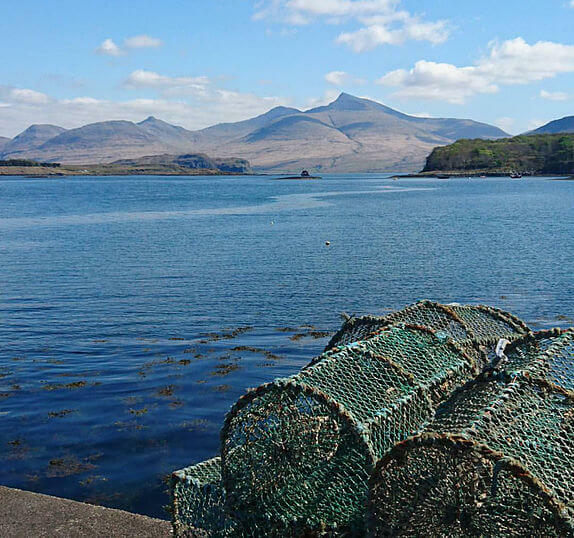 Their outdoor seating area is the perfect spot to take in the stunning views of Ben More, Mull’s only Munro, or let the kids guddle about on the shore. Lip na Cloiche Garden is a beautiful, densely planted garden situated near Ulva Ferry. A wide range of plants are available for sale, as well as fresh eggs and many craft items. The garden is open from dawn until dusk all year round, and visitors are always welcome. There is no admission charge; however donations are always appreciated in aid of local charities. Proprietor Lucy Mackenzie also offers bed and breakfast. Mull Charters offer wildlife, sea angling and photography trips aboard their 12 seater boat, which depart daily from the Ulva Ferry Pontoon. Their famous Sea Eagle Adventure is not to be missed, allowing nature lovers and photographers to be as close as possible to Mull’s famous White Tailed Sea Eagles, which often swoop right over the boat. Turus Mara are a long-established family business which run daily trips to Staffa and the Treshnish Isles from the Ulva Ferry Pontoon. From April to August visitors can get up close to the puffins which nest on the islands, as well as spotting a host of other sea birds, Common and Atlantic seals, basking sharks and dolphins throughout the season. As one of the oldest tourism businesses on Mull, Turus Mara’s skippers and crew share their extensive knowledge of the islands’ wildlife. Our Scheduled service starts and finishes at beautiful Calgary bay, one of the largest and accessible of Mull’s beaches. 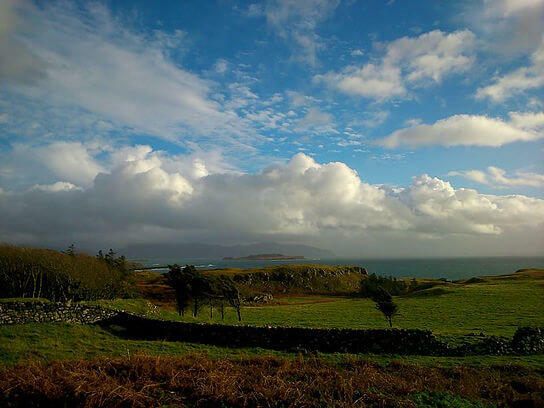 Take some time for a walk up the hill to Inivea, one of Mull’s best preserved ruined villages, meander through the Calgary Art in Nature woodland walk to the farmhouse Café, or just take in the view with an ice cream from Robin’s boat. 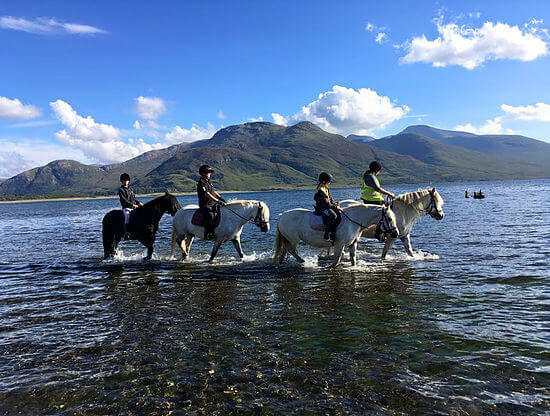 Our Scheduled Service passes through Killiechronan Estate, home of Mull Pony Trekking, which offers everything from short rides for novices and children to longer beach and hill treks for more experienced riders. There is a basic campsite on the Estate, right by the shore. Killiechronan is a great spot to view otters, sea eagles and many other species. 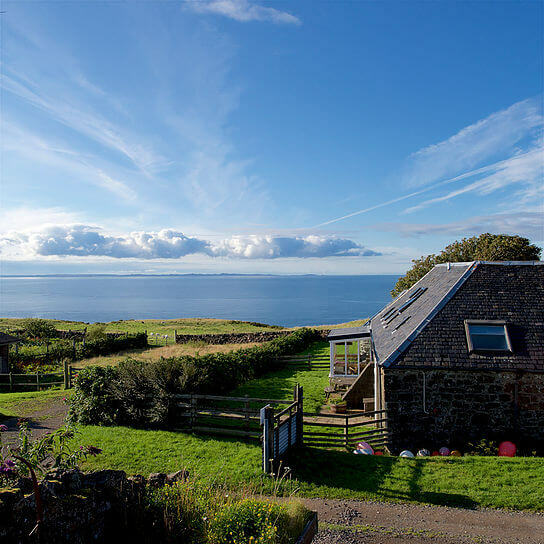 Just around the headland from Calgary bay, Treshnish Farm is home to 8 eco friendly holiday cottages, which have held a Green Tourism Business Scheme Gold Award for 14 years. The farm is sensitively managed to increase biodiversity, and is a haven for wildlife. The Treshnish headland is a great place for a walk, passing the ruined villages of Crackaig and Glac Gugairidh, and down to the whisky cave where remains of an illicit still can be seen. Gometra is the most remote of our inhabited islands, home to two families and completely off-grid. It’s a popular destination for experienced kayakers and walkers seeking an escape from a more busy life. Reaching Gometra is a challenge in itself, involving an 8 mile walk via Ulva if you do not have your own boat. There are two basic bothies available to rent for anyone wishing to stay overnight. The Gometra website is a fascinating read into the history of the island – which once had a much larger population – and the challenges of very remote living. Opened in 2018, the Hen House coffee shop at Fanmore offers fantastic home baking, soups and sausage rolls, teas, coffees & hot chocolate to take away. 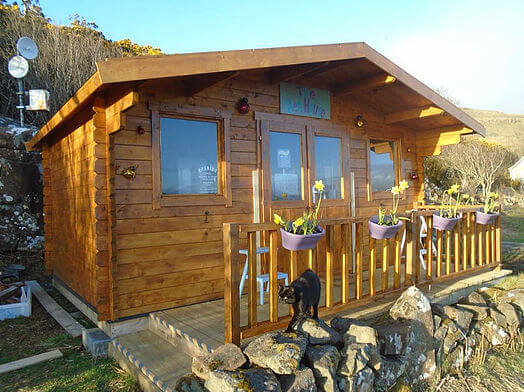 Definitely worth stopping off to pick up supplies, or make use of the outdoor seating area to take in the views across Ulva, Gometra and to the Treshnish Isles. For more information on planning your trip to Mull and Iona, check out Visit Mull and Iona. Find inspiration on things to see and do, where to eat and accommodation. They also have great local guides, travel information and an events calendar to see what’s on.